Start The Genetic Mystery of Citrus Fruits: How Did We Manage to Domesticate Them? The Genetic Mystery of Citrus Fruits: How Did We Manage to Domesticate Them? Appreciated throughout the world for their flavour, citrus fruits have for centuries been one of the most economically valuable crops, especially in the Mediterranean basin. But this was not always the case. They first appeared in Asia, where they were domesticated at least 3,300 years ago, although in the beginning they were so acidic that they couldn’t be eaten and it was unknown when, how and where the “sweet” citrus appeared. Now, a recent study has solved the mystery of the history of citrus fruits—and is also giving us clues about how to get tastier and healthier oranges. The most accepted hypothesis to date was that the transformation of the citrus into edible fruit was relatively recent, after its introduction and establishment on the shores of the Mediterranean. The island of Corsica was identified as the main candidate, largely because it is the birthplace of the Corsican or sweet citron. However, an investigation carried out at the John Innes Centre (United Kingdom) and based on the genetic analysis of multiple varieties, has discovered that the origin of “sweet” citrus dates back to an old mutation of a single gene, which arose in China almost from the moment of its adoption as a human crop. This discovery widens the focus on how the subsequent expansion of these plants towards the west unfolded, through Persia. 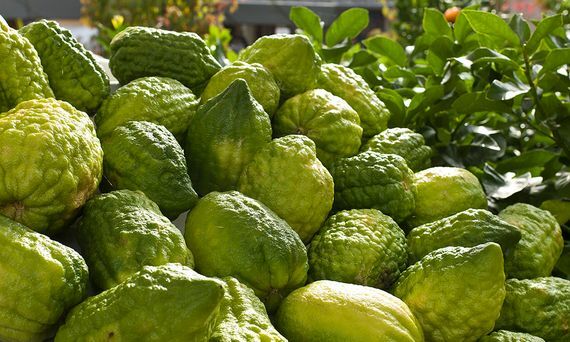 It was an expansion closely linked to the diaspora of the Hebrews, given the fundamental role played by the citron (the Hebrew etrog) in the religious ceremony of the Sukkot. “Citrus offers the opportunity to combine genetics and genomics with fascinating elements of history, art, archaeology and religion,” lead researcher Eugenio Butelli tells OpenMind. The complexity of citrus fruits and their intriguing evolution is due to the marked sexual compatibility between the different species, which has generated hundreds of varieties. “When I began to investigate them I was surprised to find that the amazing diversity we can observe is the result of a complex genetic network involving only a very limited number of ‘true species’,” recounts Butelli. Previous genetic studies had identified the pomelo (C. maxima), the mandarin (C. reticulata) and the citron (C. medica) as the three original or primary species from which all the others derive, and they have allowed researchers to trace in detail the family tree of the group, except for the origin of the sweet orange. “The sweet orange is an intricate hybrid involving mandarin and pomelo. It is now clear that a variety of mandarin containing genetic material from pomelo is the male parent, but the identification of the female parent is more complicated. 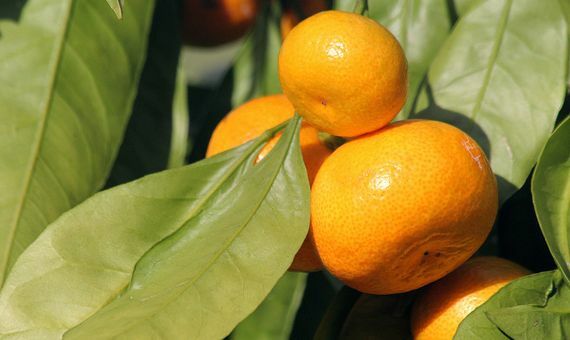 Everything points to another unknown hybrid of pomelo and mandarin; it may even have become extinct or, hopefully, still survives somewhere in China,” adds the researcher at the John Innes Centre. 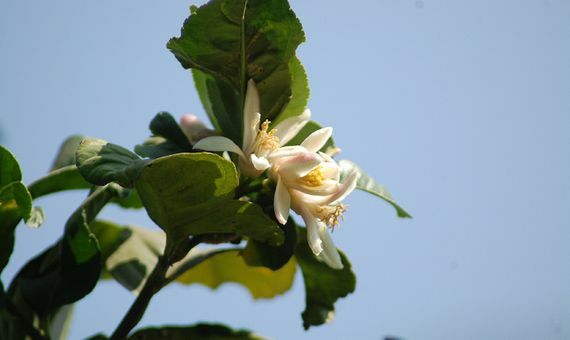 Initially citrus fruits were valued and cultivated for their healing and medicinal properties, their intense fragrance and their ornamental flowers, and in the specific case of citron or pomelo (the first citrus that spread) also for the durability and resistance given by its thick albedo, the white part of the skin. “The citron is still used in traditional Chinese and Ayurvedic medicine as an anti-inflammatory and analgesic, or to boost the immune system and improve digestion, since it contains a vast amount of nutrients and healthy compounds,” explains Eugenio Butelli: “The multiple beneficial properties of the citron (and of citrus fruit in general) can be attributed to the presence of unusual types of flavonoids that are mainly concentrated in their albedo.” All this made it an ideal product to transport on long trips and for the first commercial exchanges, even without being edible. Thanks to the descriptions recorded by the body of botanists who accompanied Alexander the Great on his campaigns (in the fourth century BC), we know that at that time the citron was already being cultivated in Persia and the Middle East and that through the hand of the Jews (and their diaspora in the time of the Roman Empire) it was established throughout the Mediterranean basin. And in addition to the citron, the rest of the citrus fruits were also arriving in the West: the first lemons appeared in Rome around the 1st century AD; the orange, the lime and the grapefruit arrived at the Mediterranean in the 10th century, with the Muslim expansion; the sweet orange was introduced from the Far East in the fifteenth century, through trade routes established by Italian and Portuguese merchants; and the mandarin did not get to Europe until the 19th century. Meanwhile, as the Hebrew people scattered through central and northern Europe, their merchants opened up routes to ensure the availability of etrog in regions whose climates made cultivation impossible. The findings reached by the team of Eugene Butelli suggest that the presence of the sweet mutation, right from the beginning of this pilgrimage, would have facilitated its settlement and popularisation in the new territories. Even more so when, based on the genetic screening carried out, the researchers hypothesise that the true etrog might already have been the “non-acidic” mutant; and that would fit with what the religious writings of the Talmud say, where in various passages it is described as a “sweet” and “delicious” fruit. 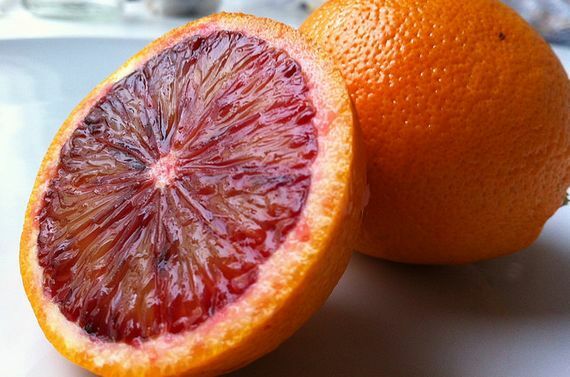 The sanguine, also known as the ‘blood’ orange, is the only citrus whose fruit can accumulate anthocyanins—red, blue and purple pigments with numerous healthy properties. They are present in some vegetables and fruits (especially berries) but absent in citrus fruit. “The ‘blood’ orange is a notable exception, the result of a peculiar mutation that we have already characterised. Unfortunately, the production of these pigments is triggered by low temperatures, which don’t occur in their main growing areas. Our aim is now to develop a ‘blood’ orange that can accumulate high amounts of anthocyanins, regardless of environmental conditions,” explains Eugene Butelli. Why is Autumn Yellow in Europe and Red in North America? James Lind and Scurvy: The First Clinical Trial in History?